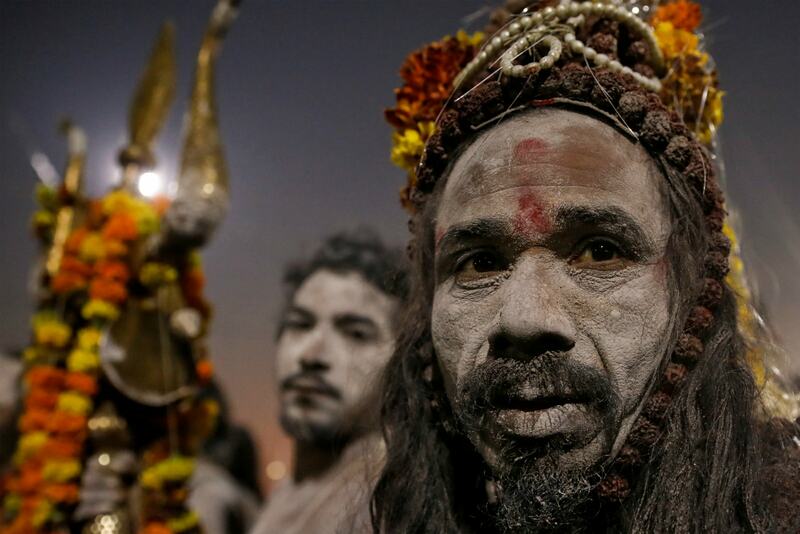 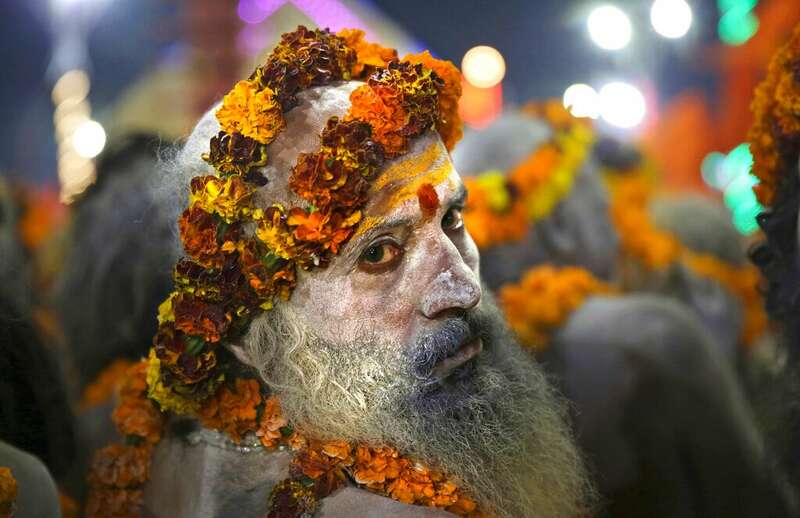 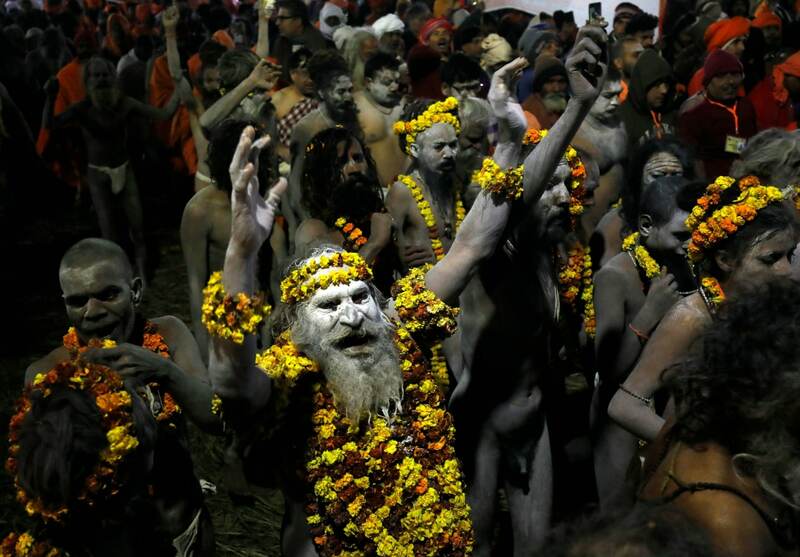 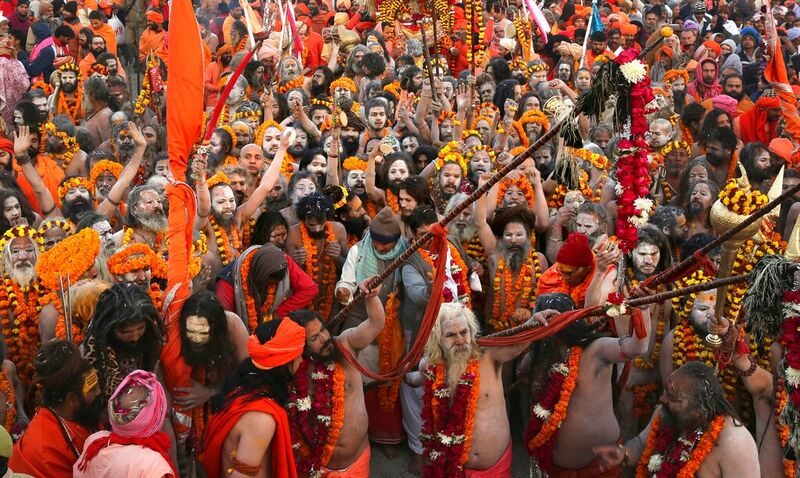 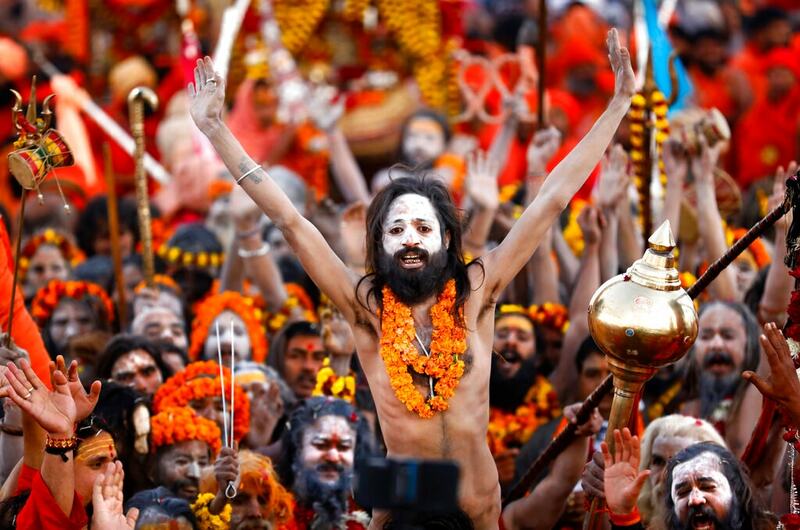 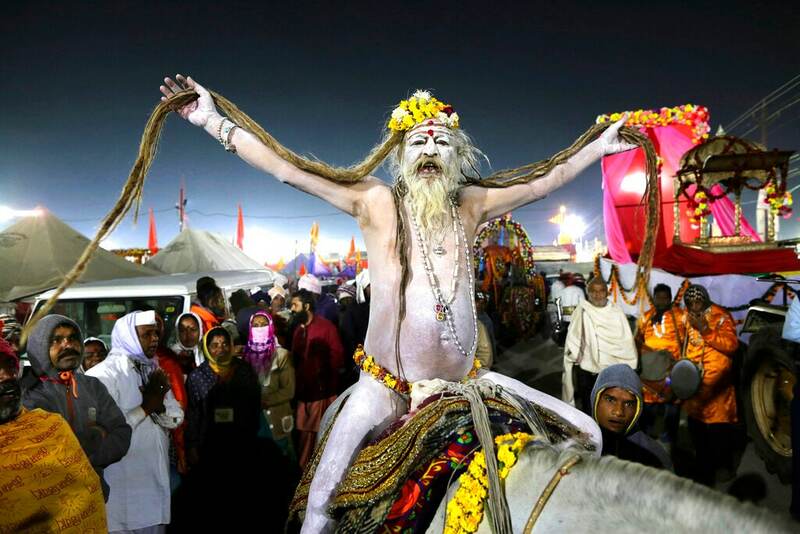 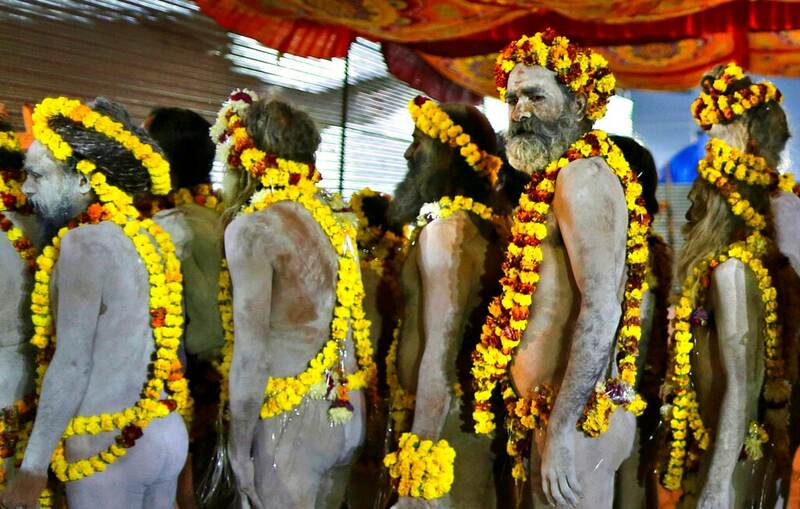 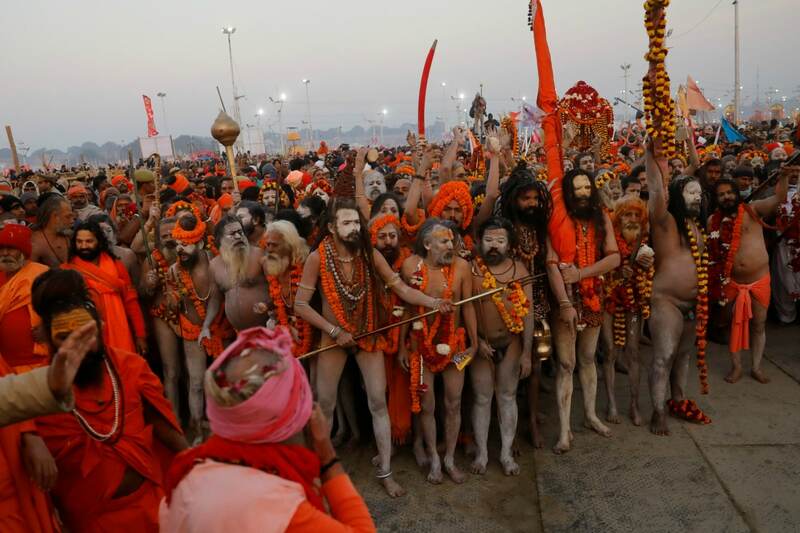 Ash-smeared and dreadlocked Naga sadhus or Hindu ascetics, naked except for rosary beads and garlands and smoking wooden pipes, are a huge draw at the world's largest religious festival that began this week in India. 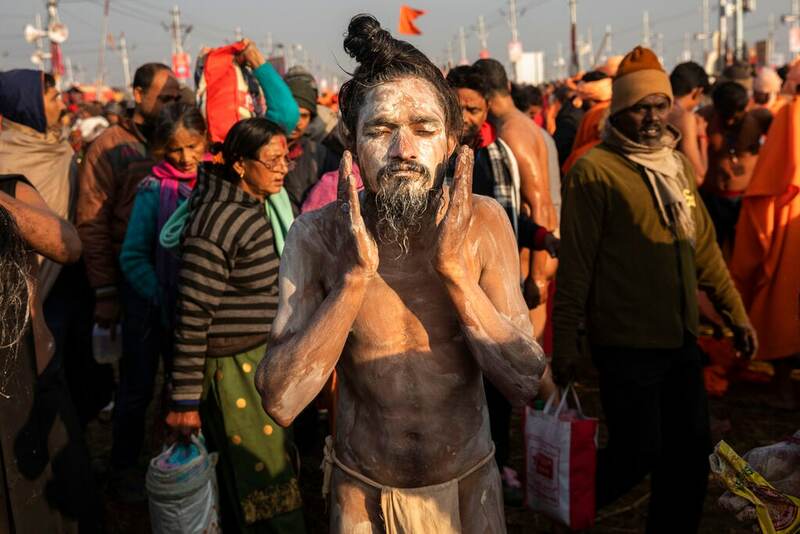 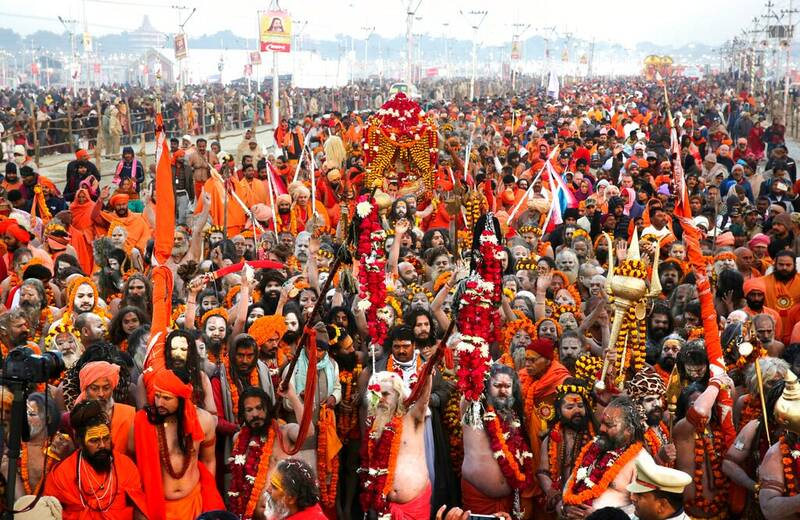 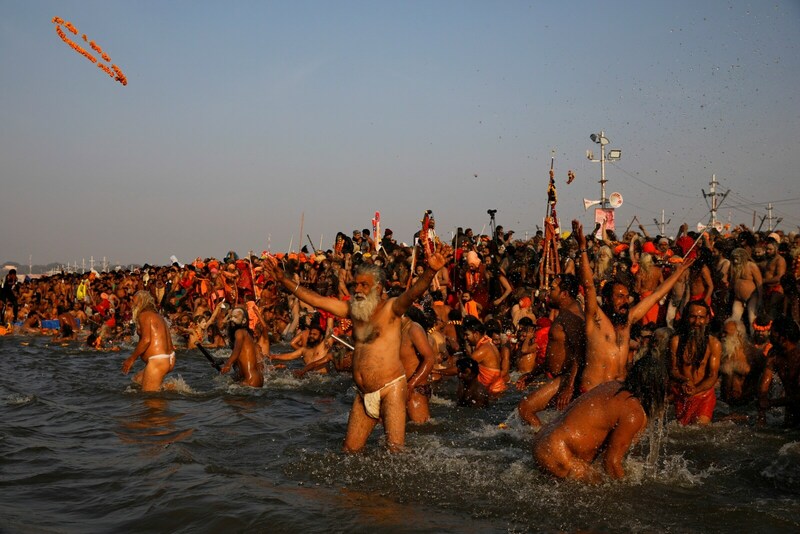 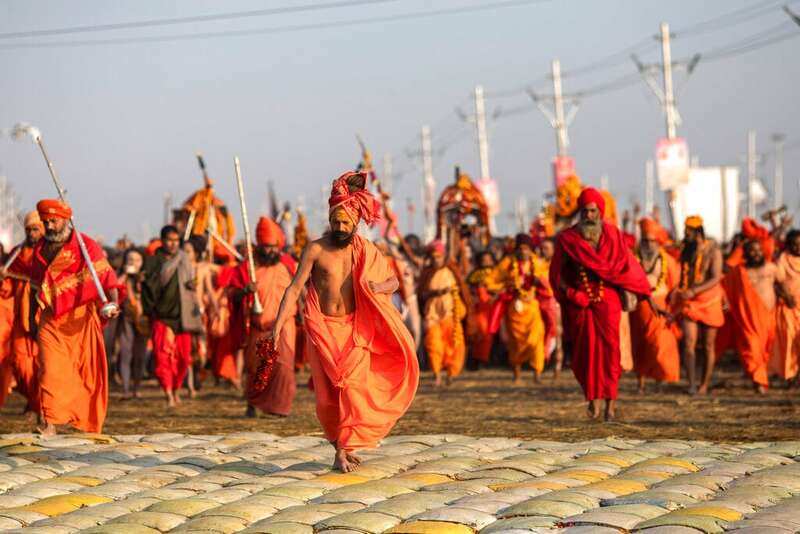 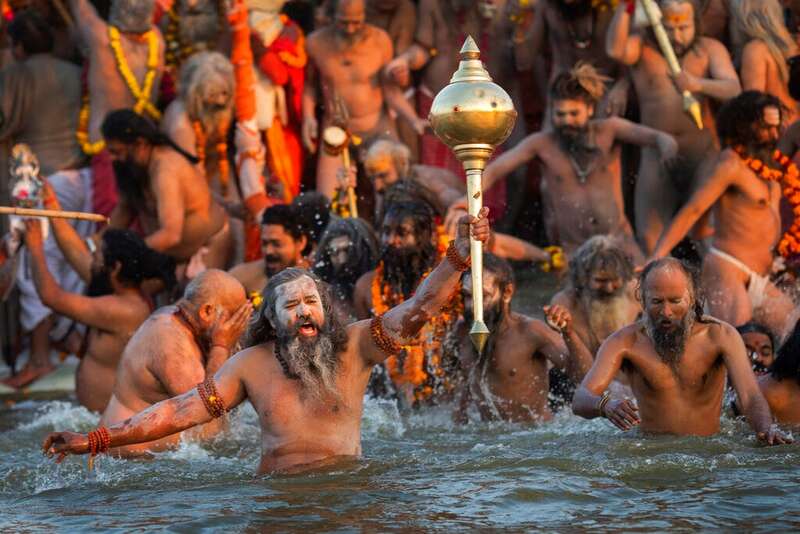 At the Kumbh Mela, or "festival of the pot", held this year in Prayagraj, in Uttar Pradesh, organisers expect up to 150 million people to bathe at the confluence of three holy rivers: the Ganges, the Yamuna and a mythical third river, the Saraswati. 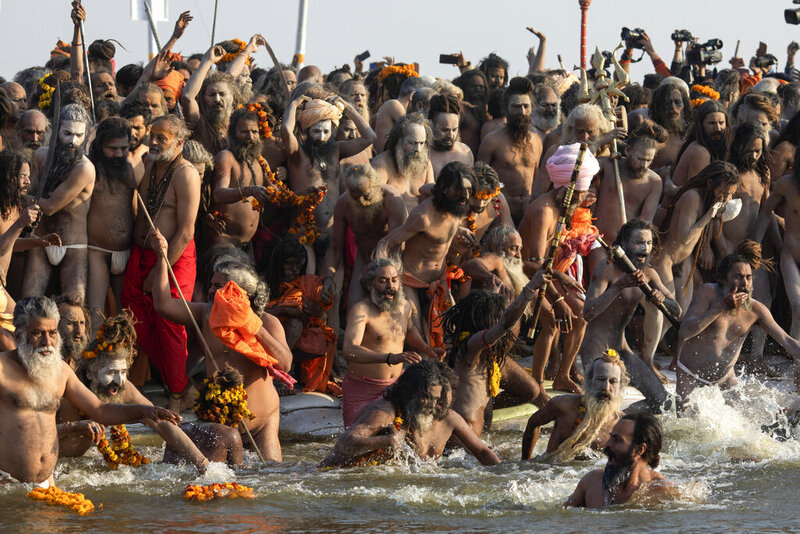 "It is a confluence of all Naga sadhus at the meeting point of these holy rivers," said Anandnad Saraswati, a Naga sadhu from Mathura. 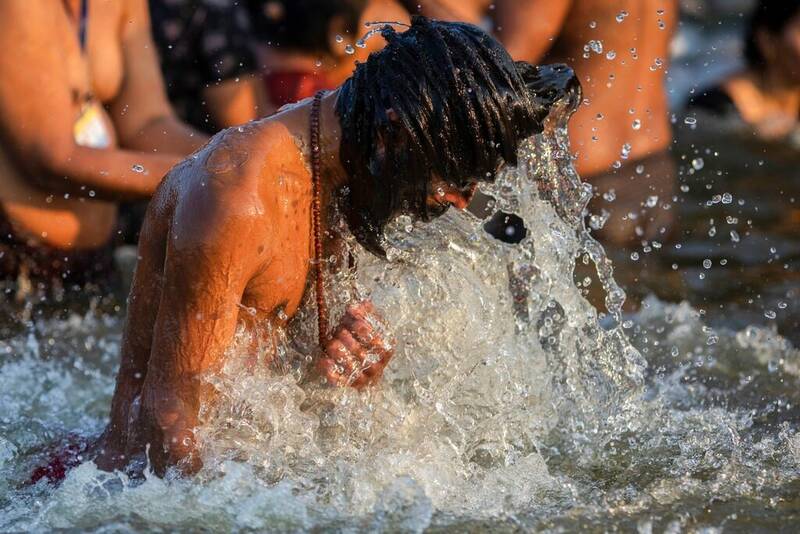 "They meet each other, they interact with each other and they meditate and pray here at the holy confluence. 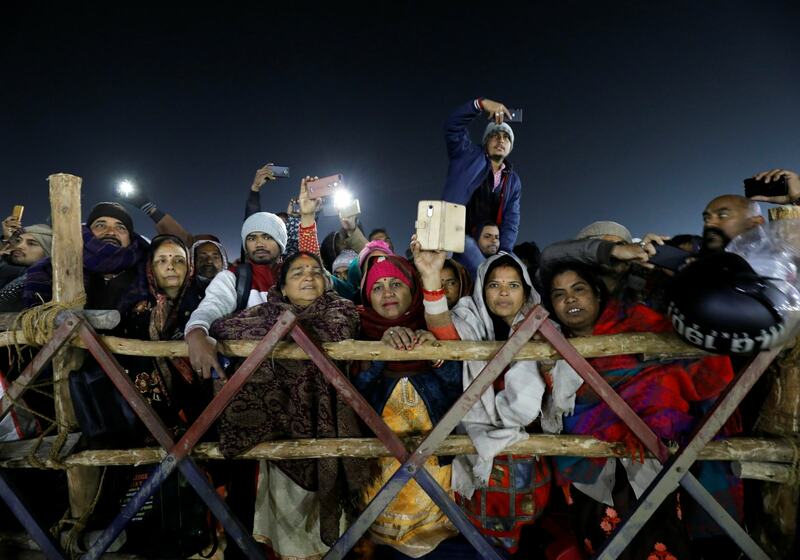 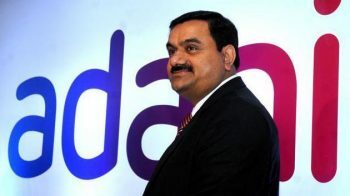 They give their message to the people and they transform people." 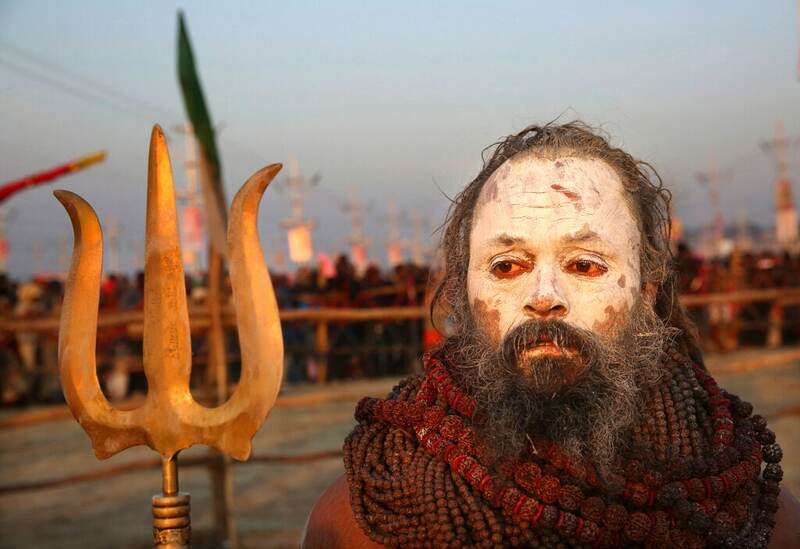 "One has to live a life of celibacy for six years. 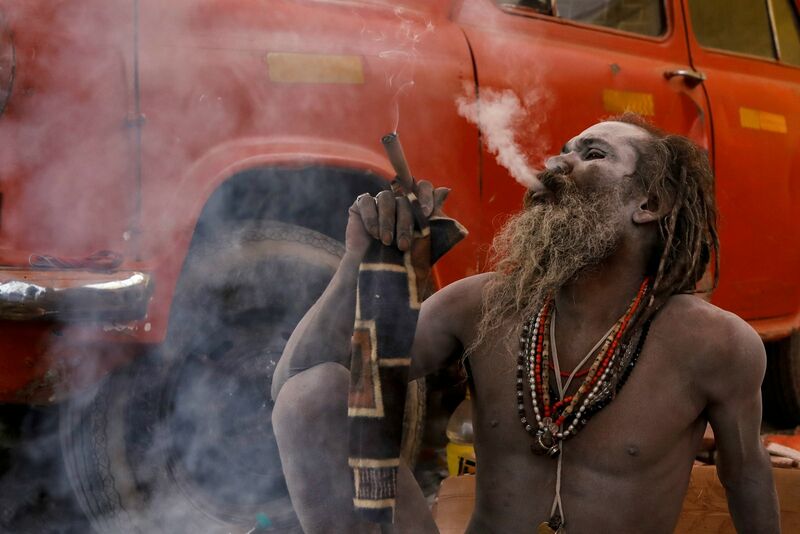 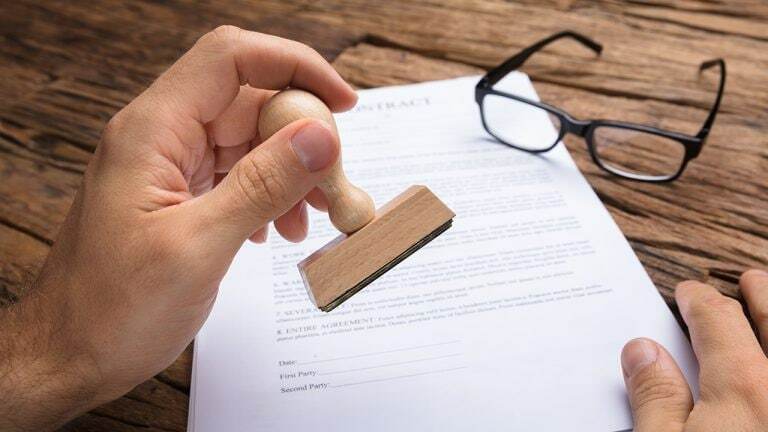 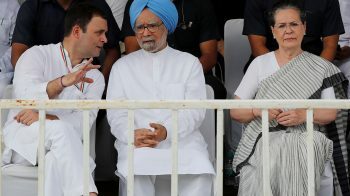 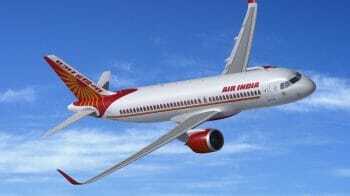 After that the person is given the title of a great man and 12 years after that he is made a Naga," said Digambar Kedar Giri, a Naga sadhu from Jaipur.